In the search for oddballs, you sometimes have to look in the most obvious places. Supposing you wanted a three-door wagon. No, not a 2-door wagon, there are plenty of those, and definitely not a 4-door wagon (by the way, this whole thing of counting the hatch as a “door” is just ridiculous – it’s the hatch, not a door). The only production 3-door wagon (yes, this is your invitation to find others) is the Chevrolet Suburban, specifically the 7th generation truck (or the second of the C/K generations). People make a big deal of the AMC Pacer or the Renault 16 being asymmetric (doors and wheelbase, respectively), but this truck is just as deserving of recognition, as you could see it in two pictures and think it’s a different truck. 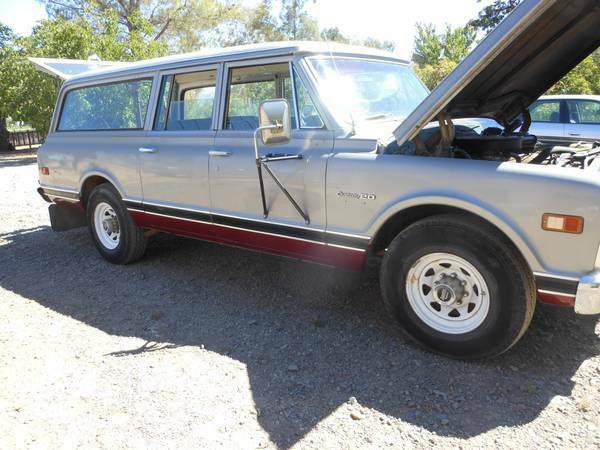 Check out this 1969 Chevrolet Suburban, for sale for $3700 in Lake County, CA. Now you see the door, now you don’t! It’s like a pre-production mockup of two different styling candidates. Why did Chevrolet choose to do this? Were they just not sure about rear doors? Did they worry about the children of early-adopting-latte-drinking-soccer-moms getting out into traffic? Was a fourth door too expensive? Or did the fourth door compromise the structural integrity of the body? Did GM’s design chief only have one child? So many questions, so many possible answers, and most of them unlikely. 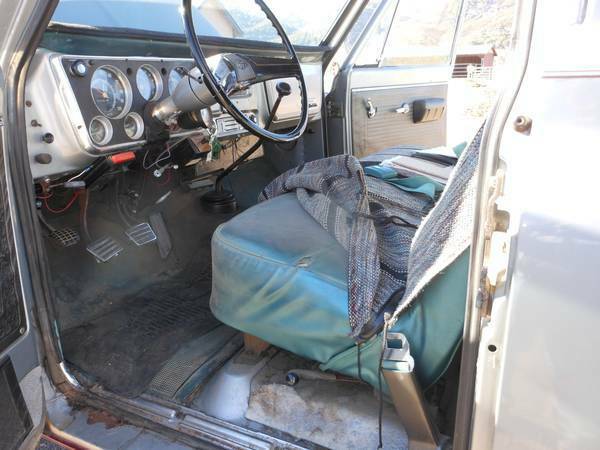 The interior looks to be in decent shape, though the seats are covered by Mexican-blanket style seat covers. Is it to cover damage, protect legs on hot days, or both? Either way, at the price you really can’t complain. It’s neat to see a third pedal and a four-speed shift lever on the tunnel. The truck is said to have been redone in the 1990s, and to need some refinishing – original spec wheels and hubcaps would look good on this, but other than that, there’s not much to change for looks. 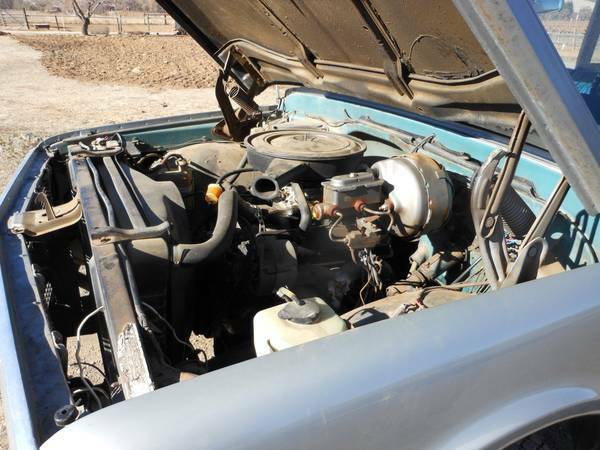 The engine sports electronic ignition and an upgraded distributor, along with an Edelbrock carb, all of which will hopefully simplify maintenance. The tires are said to be fair, and if they haven’t been replaced since the 1990s refinishing, it will definitely need a new set. 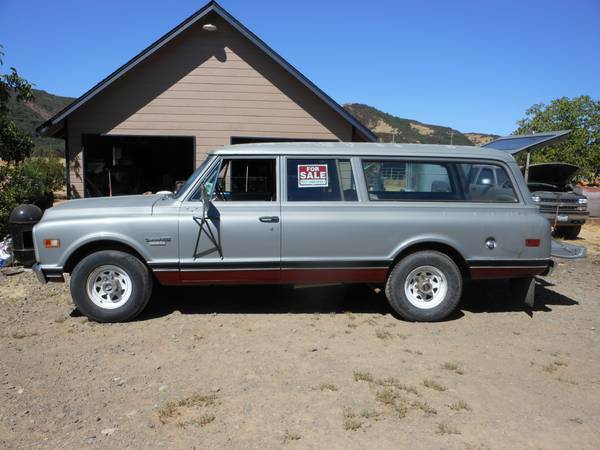 If you need to haul your old cars, or, say, a horse or a boat, and you want something more civilized than an open-bed pickup, this could be a worthy candidate. Where will you find another 3-door wagon? This entry was posted on June 24, 2014 at 4:09 pm and is filed under Feature. You can follow any responses to this entry through the RSS 2.0 feed. You can leave a response, or trackback from your own site.